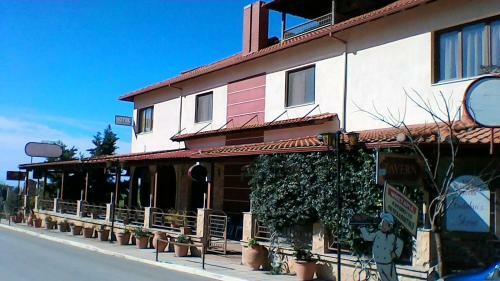 Petra Tis Evdokias is located in Petralona, Central Halkidiki. The hotel common facilities include restaurant. The property provides accommodation in family room, quadruple room and other might be available upon request. The rooms provide sea view and mountain view. Room amenities include a/c, heating, fridge, etc. In the bathroom there is free toiletries. The kitchen is equipped with fridge and kitchen utensils. The Wi-Fi is free and available in all areas. There is free parking at the hotel.